Crystal Catch is an amazing game! Fun granted. On this game you will run through an amazing cartoon environment, avoiding a lot of different and very funny obstacles. BLLUBY Arcade is a FREE puzzle game. Its mechanics are very similar to the tetris genre, but you must walk above the colored cubes and turn them in the blue color. Make rolls of at least 4 cubes to destroy and eliminate them of the game. If all the 6 columns and 7 lines are full of cubes, you lost. Energized Dice is a FREE application designed to help and entertain you. Unlike several other apps, it is really very simple to play. 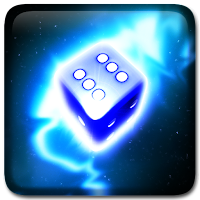 Choose the amount of dice you want, and energize them. You can pick one up to six dice.